Big… But the best phone Windows Mobile has to offer, I like it, I will keep it. 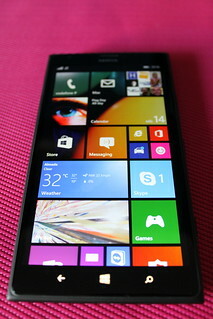 Windows Mobile 8.5 is a upgrade that adds more funtionality, and turns 1520 a better more polished phone. Still, windows mobile market needs to grow.